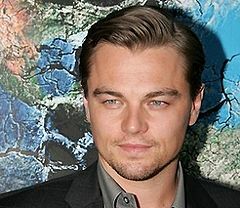 Difference between revisions of "Leonardo DiCaprio"
* Born: November 11, 1974, Los Angeles, CA. USA. * Selected Filmography: This Boys Life, The Basketball Diaries, Marvin's Room, Titanic, Romeo + Juliet, The Beach, Blood Diamond, Gangs of New York, Catch Me If You Can, The Departed, Inception. * '''Selected Filmography''': This Boys Life, The Basketball Diaries, Marvin's Room, Titanic, Romeo + Juliet, The Beach, Blood Diamond, Gangs of New York, Catch Me If You Can, The Departed, Inception. * Was originally considered to play [[Col. Hans Landa]] in [[Inglourious Basterds]], a role which eventually fell to [[Christoph Waltz]].